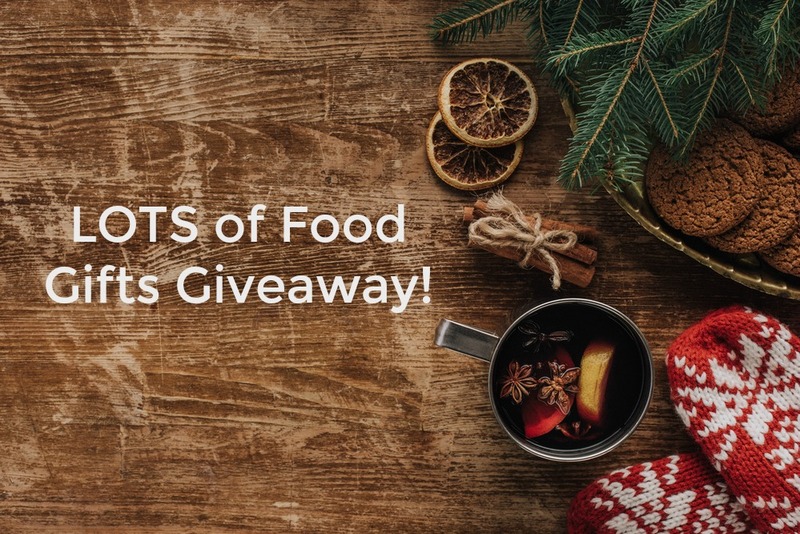 LOTS of Food Gifts Giveaway! You might get hungry! Hubby started a ‘diet’ this month. I said, “What! No way! Can’t start til January!” ha! There is so many fun treats to eat this month and I will tell you that you won’t feel guilty eating any on this list. Buy for food gifts, eat for snacks, and get ideas for new food and drinks. Enjoy! Ask me if I want a meal delivery service for Christmas? YES! No more planning and shopping! I love seeing a box of food at my door. Sun Basket is great. Not only do they have a lot of yummy options for meals, but everything is Non-GMO and a lot is Organic. The one thing I am always worried about is if the kids will eat it. I need family-friend meals. My whole family loved our meals this week! All the food was prepped and ready to go. All I had to do was assemble with the easy directions. Mamas you need to add this! Fresh fettucine with braised pork, wilted greens, and parmesan. Chicken taquitos with guacamole and pickled jalapenos. Huge honey fan here. I never use syrup on my pancakes. Honey only. For a sweet treat I add it on top of a banana or an apple. The kids love it too! Bake with it? Of course! A big bottle is always stocked in my pantry. I look for local. Do you? 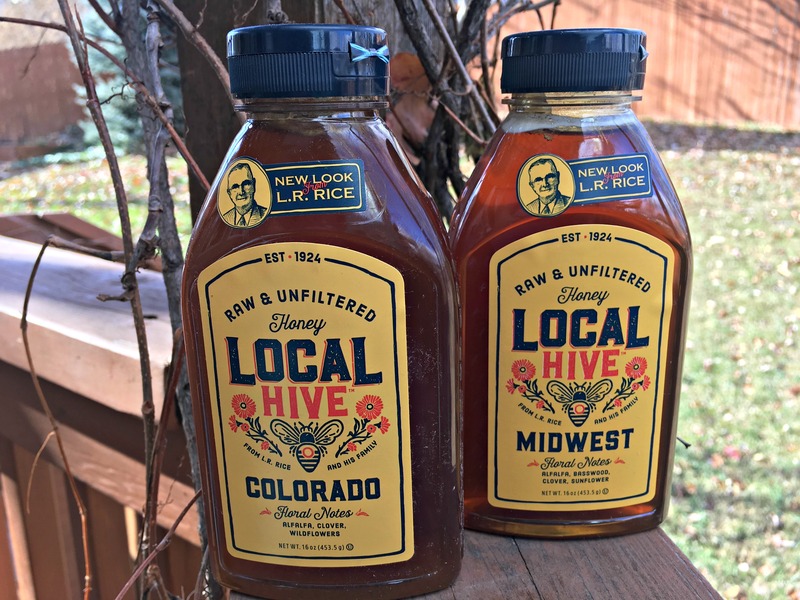 Rice’s Honey has local beekeepers all across the country. 100% pure. Nothing added and nothing removed. Did you know that each region may taste a little different? Find your region! Great reviews on Amazon too. Floral Sources: Clover, Alfalfa, Wildflowers – Flavor should be light & sweet. The sweetest of all honeys sent. Floral Sources: Alfalfa, Basswood, Clover, Sunflower – A sweet start and floral finish, with just a hint of cinnamon. Favorite Trio Gift Set for those who love to get creative in the kitchen. I love the tin can containers. Many options on what to do with oils! Roast veggies, add to sauces, grill chicken, make a salad dressing, dip your bread. Yum! “Making outstanding oil is an expertise that is part art, part science; every detail counts from the timing of the harvest, the careful selection of the fruit, to the technique for pressing. We pride ourselves in offering you the best.” – on La Tourangelle’s French Heritage that started 150 years ago. 10% donated all month long. LOTS to choose from! And find on Amazon. Another great company with a long history. Started in the 1940s, Renfro Foods started making spices and pepper sauces in their Texas garage. Today they’ve expanded to 30+ products – gourmet salsas, bbq sauce, creamy queso, relish, and jalapeno peppers. Great for taco night – grilling out – appetizer dips – gourmet sandwiches – gifts for friends. Need ideas? Visit their recipes. They say gourmet and I say unique. Find flavors like Ghost Pepper Nacho Cheese, Craft Beer Salsa, Raspberry Chipotle Salsa, Green Tomato Pickles, and many many more. Check them all out! I think their prices are great. Plus you can order bulk on Amazon. Who likes a little spice in their life? Find TONS of salts, spices, blends, rubs and loose teas! Plus Gift Sets like this one above. 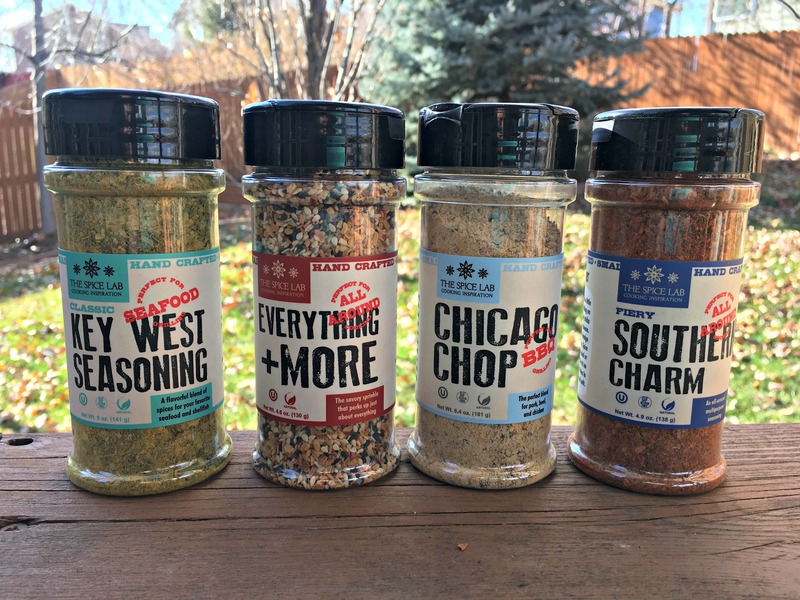 This is the Taste of America set and includes the following: Chicago Chop Seasoning, Key West Seafood Seasoning, Fiery Southern Charm & Everything and More Seasoning. Use on meats, seafoods, veggies, and just about anything! I know I would love to find a new spice in my stocking! You can find them in specialty gift shops, major retailers, at TheSpiceLab.com, and on Amazon. Support this family-owned, woman-owned business today! Food bundles – when these companies contacted me just a few days ago to be included I could not refuse. Quick drinks and snacks to have ready in the fridge. Easy for company! Detox Water: prebiotic aloe vera-infused water with vitamins and electrolytes. Great for your skin, digestion, and immune support. I’ve had this water before and it is GOOD and comes in yummy flavors! Find in your local grocery. Grass Fed Coffee: the world’s first ready-to-drink grass fed butter coffee with MCT oils and no sugar. Can’t wait to try this! Clean energy to keep you going. Perfect for Keto and Paleo eaters. I love the individual Tetra packages they come in! Icelandic Glacial: I am water picky. I bring mine from home because when I am out and about I can not drink tap. Naturally alkaline spring water from Iceland sounds amazing. Buy it Pure or Sparkling in natural or Sicilian Lemon, Tahitian Lime and Elderflower flavors. Find locally or buy online through their site or Amazon. Stryve: meat sticks and jerky have become a stable snack at my house for snacks or I’ll throw them in the boy’s school lunch to make it easy. I am anxious to see how we like these premium cured beef-biltong snacks. They are made without all the sugary marinades and sound terrific. Find in a story near you or on Amazon to try. There are many flavors! UPTIME: A mental and physical energy drink that features a clean ingredient panel that enhances focus without the spike and crash. As much caffeine as a cup of coffee, this drink comes in a sparkling blend of orange, lemon and lime flavors. They have Tablets too! Find locally or buy from their Amazon store. Munk Pack: Simple snacks made with real ingredients for on the go. Buy locally, at their website, or on Amazon. Oatmeal Fruit Snacks: overnight oats without the wait! They come in squeezeable bpa-free pouches for easy eating. The 5 non-GMO, whole-grain, fruit flavors are sure to be a treat. Protein Cookies: Cookies that are good for you? Yes please! Each cookie packs 18 grams of cookies and comes in 4 yummy flavors. Plant Based – No Gluten – No Dairy – No eggs. They are thick and soft. Stick one in everyone’s stocking. Go Organically: The kids will be happy. You can buy fruit snacks again! Made with real organic fruits and no preservatives. Perfect to bring along for a school snack or keep a few in the car for hungry tummies. Grab a $1 off coupon and find where you can buy at their website. Also find at Amazon. You just read that I always bring my drink with me from home. I use a reusable bottle and my cabinet is full of different varieties. I can get rid of many now because the Multi Flask covers it all. 7 bottles rolled into 2. (1) Hot Coffee Traveler (2) Hot Tea Traveler (3) Cold Thermal Bottle (24h cold with stainless vacuum bottle) (4) Protein Shaker/Smoothie Bottle with Shake Agitator (5) Water Bottle with soft spout (6) Infuser bottle (to add fruit!) (7) Cold Brew Coffee Bottle with Brew Filter Basket. Seriously! Buy it on Amazon. What food gifts do you like to eat and receive during the busy holiday season? I partnered with these brands who sent these products for free for this Lots of Food Gifts post. All opinions are my own and Amazon links are affiliate. This giveaway will end on Dec. 17, 2018 at midnight MST. Winners will be drawn via rafflecopter. Once a winner is drawn I will contact them and they will have 48 hours to reply before I draw a new winner. Giveaway is open to anyone in the US. You must be 18 years of age or older. Giveaway is not affiliated with Facebook & I release them of liability. Winner will be posted in the rafflecopter widget. Yumm. Some great ideas for holiday treats. I get into a slump and having some new ideas, and new flavors would be great! I've tried other home food delivery packages. I keep hearing such great things about Sun Basket. I'm going to try them! I like the honey on pancakes idea, that sounds delicious. I think I would like to start with the nacho cheese dip, and then work my way through everything else! 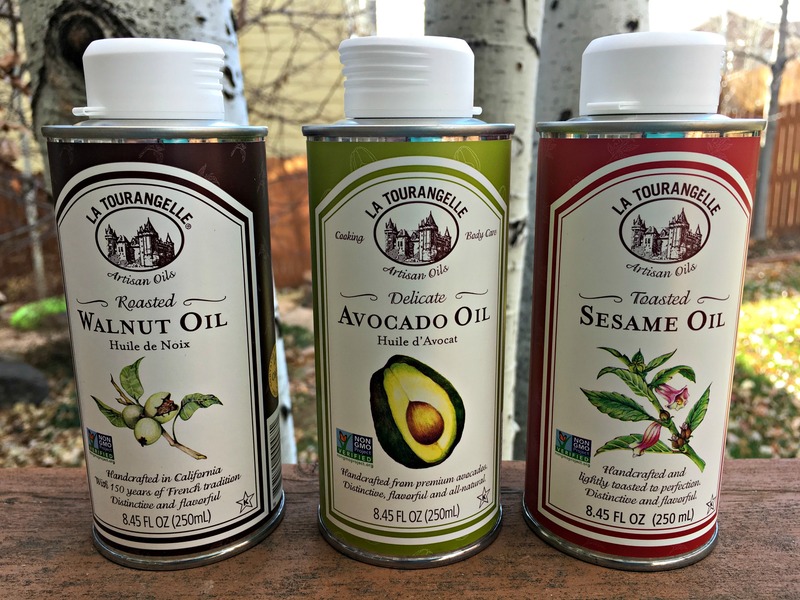 I would like to try the La Tourangelle Artisan Oils in a salad, especially the avocado oil. I love to win food items the most and I would say you really "brought" it with this one! wow! I love trying new foods. This is a nice selection...and some great gift ideas. Thank you! These treats sound really yummy and I can especially see the Multi Flask as a great gift because of its versatility. I would love to try the grass fed coffee. I like trying new.foods, drinks and spices. I am going to try that Green Tomato Pickles, from Mrs. Renfro’s. I love trying new brands and food products that are new to me. I have tried some Mrs. Renfro's products before. The others are new to me. The Spice Lab items look very interesting. 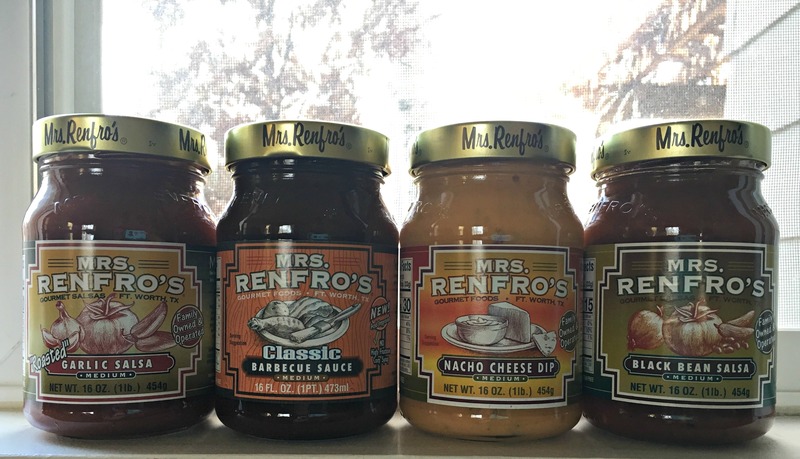 I'd love to try out the Mrs. Renfro's salsa and dips. YUM! Holy cow.. you were right. This post hit the mark of some awesome items. I think I would enjoy each and every item. They look delicious. I would make use of that local honey!!! I want to use the grass-fed coffee in the multi-flask! There is nothing better than a good cup of coffee in the morning to start one's day! What a nice line-up of foods! Several of these would make great gifts for my foody daughter and DIL. Lots of great ideas in your post. Gives me inspiration to look for locally sourced natural gifts in my area. Everything looks so good. I really love honey.We but it all the time. WOW!! A lot of amazing new food to try! Thanks for all the ideas! I love trying new food items. Thanks! All of these items look great and I would really like to try the spices from Spice Lab. I've tried La Tourangelle Artisan Oils and Mrs. Renfro’s salsa and enjoyed both. There are lots of great foods on this list. I'd like to try the coffee. Great ideas and gifts for any foodie! Thanks and Merry Christmas to you and your family! I would like to try the Stryve sticks. Those would be great for sports games. These would be great to give as gifts! I would love to give my husband some of The Spice Lab products. I’m seeing some of my favorite food items but even better, some I haven’t tried (but have been wanting to) and others I haven’t even seen before. This would be the perfect Christmas surprise for me! Man I bet that honey is good. I’d also like to try some of those Spice Labs! Everything looks and sounds yummy. I would love to try the Spice Lab and experience some new flavors! I would say Homemade Mayo & Ranch. I grew up in a house where my Mom never seasoned anything. We did have salt and pepper to add ourselves. I really appreciate the variety of seasonings that are available now and I use them. Thank you Spice Lab. I would love to try some of the spices from Spice Lab and the nacho cheese sauce sounds delicious as well! love the walnut oil! i use it for my pesto. So Good. I love cooking so Spice Lab would be perfect for me!! I would love to try that Detox Water. It intrigues me. I would love to try out the Artisan oils for a change of pace! An eclectic groups of products. I am interested especially in trying the different oils. Right now I only use olive oil. 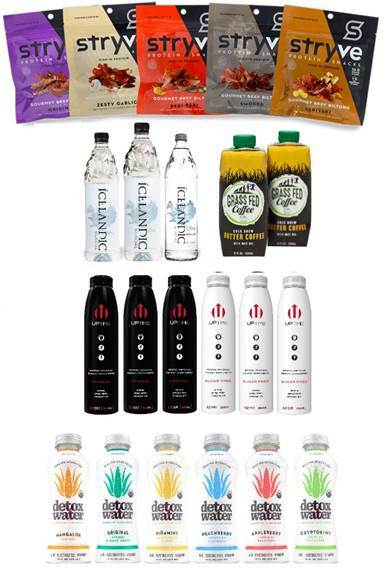 I would love to try the Grass Fed Coffee and the Detox Water. These sound wonderful!!! Ty for the chance to win. These look awesome! I need the detox water!! I'm an adult but I love fruit snacks. I'd love to try the ones featured here. 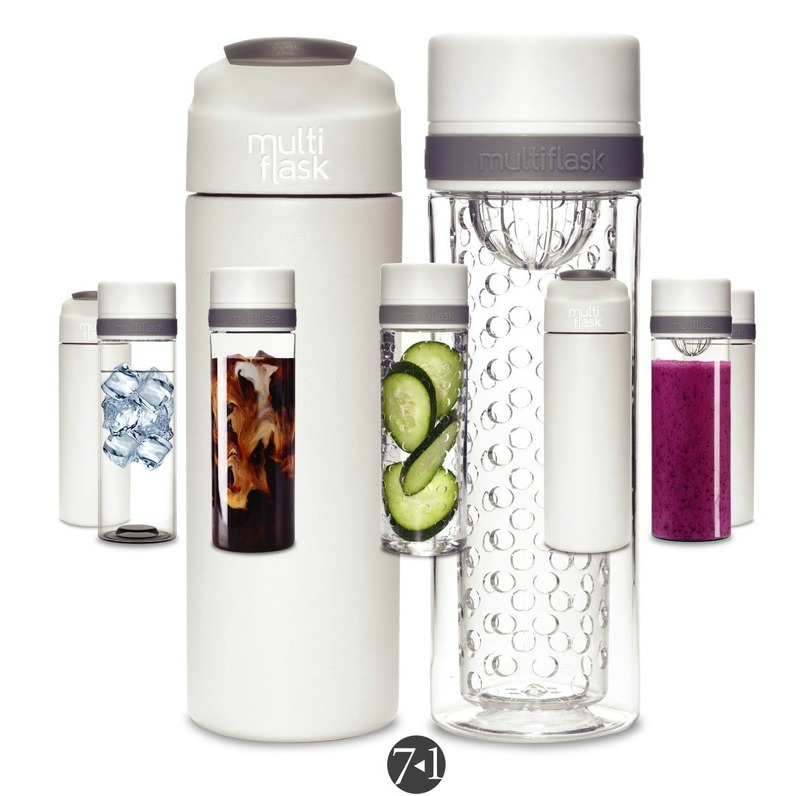 I want to try the multi-flask! I'm already a big fan of most everything else listed!! Especially La Tourangelle Artisan Oils, they're the best!! And the honey!! Wow! You found a lot of new products that I would love to try. I don't know how you come up with them all. The walnut oil would be the most interesting for me since I absolutely love black walnuts. Everything looks amazing. Wow, some great gift idea's. I would love to try the Grass Fed Coffee. The artisan oils look fantastic. I could do some fancy cooking for sure! The Spice Lab is my new favorite thing. OH yes, lots of ideas. A huge smile on my face as a foodie and love to cook and create. Living in coastal south Florida lots of healthy food recipes come to mind. The Key West seasoning, honey of course and avocado oil. Seafood and more. And, my favorite holiday treats..cheat..baklava too. Great giveaway. Thanks. Lot's to choose from! I know I would like the Detox Water. I have not seen or tried these foods but I would like to. I am liking the MultiFlask! What a great idea to add fruits or cucumber with lemon! Who wouldn't be intrigued by grass fed coffee? I love all of the Renfro products I have tried so far, would love to taste more. This post made me hungry! Thanks for the chance to win it! I love these food options! I am a honey fanatic....use it on and in everything. I put peanut butter on my pancakes and pour honey over that...delicious. :-) Thank you for a tasty giveaway. This would be great to win! I love the spices! I think the La Tourangelle Artisan Oils would really dress up a simple meal! 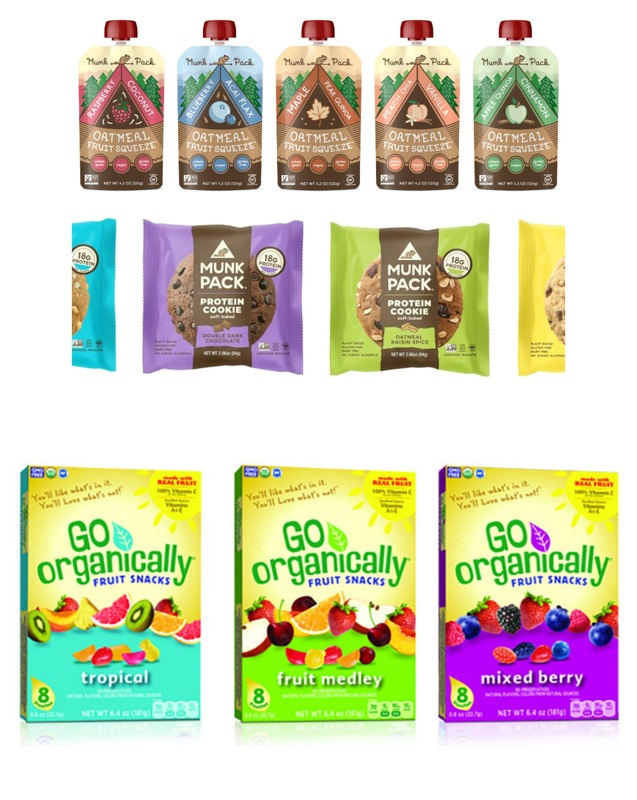 I would love to try the munk pack snacks--they look so yummy! I want to try the Munk Pack cookies. I'd love to try the Fiery Southern Charm from The Spice Lab. I would absolutely love to try the Mrs. Renfro's cheese dip. Yum! I love supporting small businesses! Thanks for the chance! The everything bagel seasoning sounds delicious!!! Those fruit snacks look great. That multi flask would save me a lot of cabinet space!!! Like that the Flask has tube for fruit -- would be great for flavored water. I wish I could win a years supply of spices. I grill a lot and use spices and rubs all the time. The salsa, dips, and spices look amazing!! Thanks for these great ideas! I love Mrs. Renfro's salsa, but I haven't tried the nacho dip. Would love to try it. I'd like to try the Elderflower flavored Icelandic Glacial water! I would love to try the Mrs. Renfro’s sauces with chicken they sound so good. I'm intrigued by the Grass Fed Coffee. I have never made bullet-proof coffee because I didn't want to hassle with it. This makes it so convenient! I think the Icelandic Glacial water would go over well at our house. My husband is super picky about his water. What I wouldn't give for this! Fingers [email protected]! 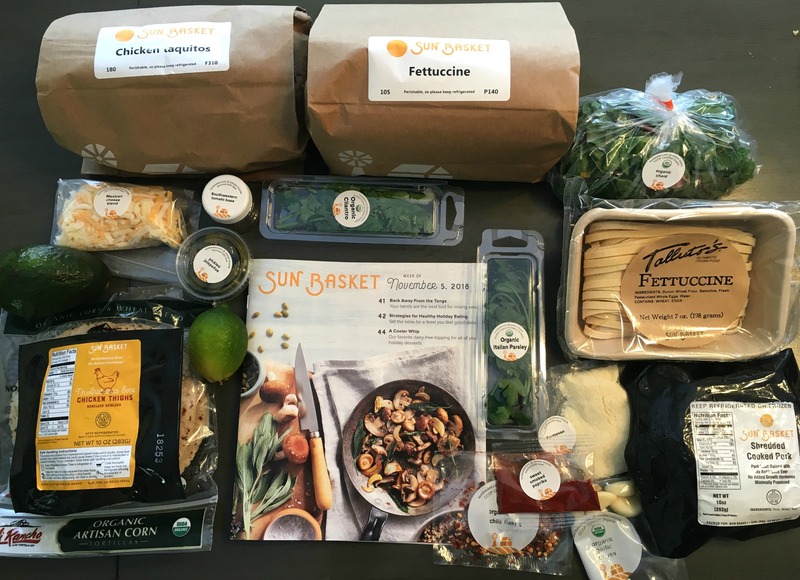 Sun Basket looks like an awesome healthy meal plan! Would love to try it! Everything looks incredible! We get so stuck in our habits that it's nice to see products highlighted and see what catches our eye and gets us to try something new. Lots of great stuff here, the spices, oils and honey top my list! I've heard good things about Stryve biltong jerky; I'd like to try it. I would like to try the spices, especially the Key West seasoning & Chicago Chop. The organic fruit snacks sound great for me. Healthy snacking option which I desperately need. The Hot Coffee Traveler and Hot Tea Traveler would be perfect gifts for my daughter and I.
I like the different oils and spices as food gifts. Some of these, like Mrs. Renfro's Salsa, I've tried and I know how great they are. This looks like an amazing collection of food goodies. i wouldn't mind trying the Taste of America set on popcorn. The Detox Water sounds so beneficial! I am glad to hear of it. Lots of new-to-me brands that sound interesting to try. I've had Mrs. Renfro's salsas (yum!!) but everything else in your post is new to me. And it all looks good! Thanks for the giveaway. :-) Happy holidays! I like the multi-flask, it is so annoying having mutliple containers in the cupboard. This product is a good solution. Would absolutely love to try the detox water. I love to experiment in the kitchen, so I have lots of ideas. I so want to try all of these! Oils, spices, very nice! That MultiFlask looks awesome, I need inspiration to drink more water in winter when the weather is cool. I would love to try the oils! Oh my goodness, where to start! I have really gotten in a rut lately of just making the same things to eat and it's getting to the point where I dread having to eat sometimes because I'm so burnt out of the meal. I'm also a huge honey fan and I like to try different varieties. The grab and go items are what I always end up with and healthy options are a must. Thankfully my son loves to cook and is excellent at it. The sauces and spices would be a big hit. He is always tossing around the idea of culinary school. I just have to sweet talk him into coming over and cooking with me (I'm a wreck in the kitchen). The drinks all are wonderful but that seven in one bottle is crazy. What an ingenious design! This definitely covered quite a few gift ideas for me, whether it's Xmas or to keep in mind for birthdays or just to brighten someone's day. I love the go organically fruit snacks! I am curious how effective the Detox Water really is. Happy holidays to you and yours. I would absolutely love to try the sauces and the seasonings. My hubby just got a new smoker for his birthday so he would really love trying new seasonings. Sounds like a really great package! I would love to try the grass fed coffee. I love local honey, I always have a bottle on hand! I also love Mrs. Renfro’s salsas, they are delicious! I am really curious about the spice lab and definitely want to try those oatmeal pouches.I think my daughter would love them! I'm also intrigued by this whole grass fed coffee thing! this looks like the perfect collection for a foodie..ahem..me!! thanks for the chance! Those Chicken Taquitos sound delish! YUM! Thanks and God bless! This is amazing. I would love to win this. Thanks so much for this chance.. This is such a great assortment of goodies! Lots of interesting food ideas, and I like that multi flask too! I like Rice honey. Started here in Colorado. Thanks for the contest. Wow, this is a great list of products. I want to try everything, especially the spices. I would like to try the honey. Would go great in my tea! I have company coming to stay with us for the holidays, so it would be awesome to win this! I don't think it would last long with teenagers around! Holiday decorating would be fun to see! The Spice Lab spices sound delicious. I like to try new spices and seasoning and would love to try the Key West Seafood Seasoning. I would love to try Mrs. Renfro's salsas and the Spice Lab spices for one, and those Munk Pack cookies look good for dessert too! I would love to try the Mr. Renfro's Nacho cheese dip! All these products sound yummy. I've never heard of Sun Basket till reading this post. Thanks for the info and the awesome giveaway. I have always wanted to try Mrs. Renfro’s salsa. All the varieties look so good. These good items sound great. I always want to prepare healthy mea is for my family. I've never tried a food service. I would be interested in trying one, but it seems that basic packages are for 4 people and we have 5-6. I would love to try the infuser thermos.